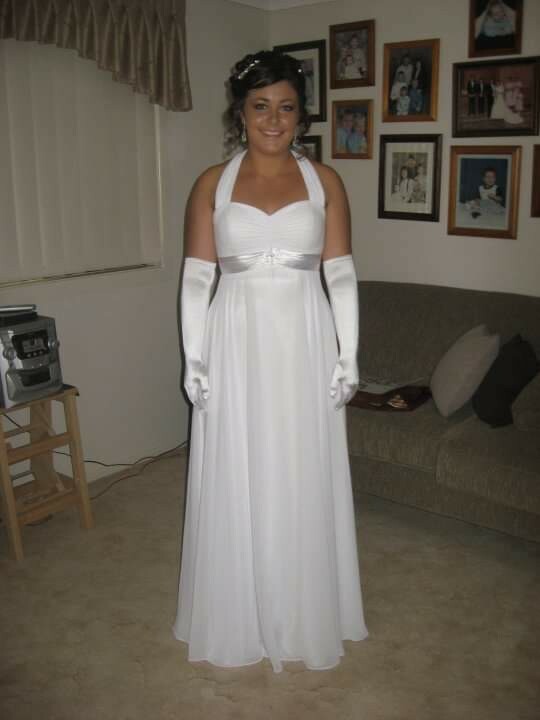 This was my beautiful deb dress. Size 12 Angeline dress. White in colour. Satin with a sheer overlay. Halter neck. Floor length. Has been dry cleaned back in 2010 and has been stored correctly since. Still in excellent condition. A very flattering dress. 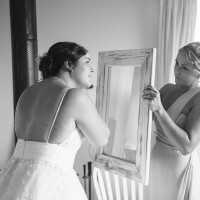 Pulls in around the waist area with a satin band to give a beautiful shape.